I attended a homoeopathic seminar in Dubai in 2006 and Grant Bentley happened to be speaking at the seminar. I remember receiving his pamphlets regarding books he had written on the subject. At the time I could not afford the books just yet so I held onto the pamphlets until I could. I was intrigued by the name - what would prescribing a remedy have to do with a patient's facial features? If I remember correctly Grant presented a case in which he had used facial analysis to determine the correct remedy to treat a female patient with lymphoma and she had been in remission ever since being on the remedy, now that was even more intriguing. Well I was only able to get hold of a copy of Appearance and Circumstance in 2008. I read it once and found it fascinating; I had never heard miasms' described in this way. It was obvious that Grant had thoroughly studied and understood the subject and not only that; he was passionate about this work too. The second time I read it; it just became even clearer and made even more sense than the first time. Once I start using facial analysis in practice it doesn't need to make sense anymore because it can't be questioned, it just is what it is and it works. It's not something you try out and see if it works, it just does. The system is flawless; it's only the homoeopath who might make a mistake in using the system. My experience using HFA grows every day and with practice I have become more accurate. If I don't get the expected result I study the patient's facial features again to confirm the dominant miasm or check my rubric selection. I may have missed one feature which changes the miasm, and if you miss the miasm you'll prescribe the incorrect remedy. My practice is thriving because of HFA and I have only been in full time practice going on three years. Yes, it's still growing but my work load has halved and my income and success rate has doubled. Every time I have a success I want to phone Grant and Louise and thank them, I'm so appreciative. At first I was concerned as to how my patients would take to it but I have learned that people just want relief, most are not bothered as to how you get them there as long as you explain each step to them and in fact the majority are fascinated by facial analysis and want to learn more. I highly recommend Homœopathic Facial Analysis to every homœopath in practice. It's easy, it's fun, it's fascinating and I believe it's the missing link we've all been waiting for. I also believe it's always been there, it just took someone as determined and passionate as Grant to see it and bring it to the rest of the world. Thank you to Grant and Louise for this amazing contribution to the science and art of Homœopathy. Very well done - clear, passionate, well articulated - honest and not egotistical. I have found this extremely interesting and am looking forward to putting it into practice. I have enjoyed Grant's ease of delivery and his honesty as to how he has developed his ideas. Fantastic. Hahnemann would be proud! With this system in finding the miasm, we are already half way there in finding the remedy. Can't wait to try it. Excellent work. I understand that this will have subtleties but will love to try it. Very passionate presentation. Loved the side issues and philosophy. Not enough time to get through so much would have loved to have seen the positive gifts of the miasms. Loved all the cases and examples. Loved the live photo analysis. Loved the system of it - but will I be able to give away what I already hang on to? As a student I found this seminar interesting, understandable (thank goodness) and practical. There is no "stuffiness" about Grant and Louise, and it was thoroughly enjoyable. Wish it went for longer - so much to share with us. Loved it. I am just about to finish my course so this has helped me feel that I actually have a good solid place to start. Riveting! I want to know more. Great introduction to something I feel I will use a lot in my future practice …. 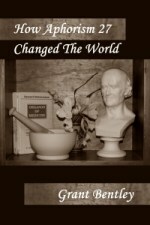 I am a Homeopath practicing in Brisbane and I would like to tell you how much I have benefited from your book. I read it over Christmas and I use the Miasmatic Facial Diagnostic Chart on every new client. I am even using it on "old" clients if I feel that the treatment is not quite as successful as I would like it to be. I am so impressed with the outcome that I can't even imagine how I ever prescribed a remedy without this tool. I absolutely love it. As a practicing homoeopath I mentally categorized my patient files into 3 piles based upon the results I achieved. - The Wow, what happened? pile. - the good to very good pile. - and my inevitable group of failures. The relatively small "Wow what happened? pile" consisted of files with results that could only be described as staggering and usually done with only one dose. (and not necessarily high potency). In fact ½ of the cases were done on one dose of a 30C. I always wondered why the results were so good in these cases and why I could not reproduce this in a lot more cases. I was taught that prior to selecting a remedy you needed to make a miasmatic diagnosis and that the remedy selected needed to not only cover the symptoms but also the miasm. Obviously, this is what I had done in the cases of the "wow what happened? pile". Easy said, the fact remained that in a lot of cases there was no easy way to determine the miasm and even if there was, there were very few direct links between the remedy and the miasm. Our literature is full of conflicting and confusing information in this area. Eg.From notes I took whilst in India I have written under Calc Carb in my Boericke "anti tubercular and also a deep acting anti-sycotic." Does this make Calc Carb anti tri- miasmatic? Even understanding that anti-psoric in Hahnemann's work really should be read as anti-miasmatic did not clear the confusion. Practical, lateral thinking technique. Down to earth, useful in a non-egotistical way. The seminar content challenges existing concepts at the same time offering new tools and perspectives for prescribing homoeopathy in a more effective way. Grant Bentley was great and an excellent presentation. Fantastic! Crossed the t's and dotted the i's in homoeopathic prescribing for me. The seminar was necessary even though I had read the book. Good to have him back in 2 years for updates.. Exciting information - remedy choices easier, quicker, more accurate. Clear, logical explanation, easy to follow. Approachable. Grant Bentley's seminar was fascinating and stimulating. It raised my interest in homoeopathy. I would like to see him return to Perth as his research develops. Thank-you for a very stimulating seminar! It has excited me to start taking photos and observing facial features immediately. Anything that helps narrow down a homoeopath's fallibility is so welcome! I thought your presentation was superb. It was laid out logically and well paced. Having the book available meant that I didn't have to suffer from writer's cramp! I found you both very approachable and informative. And it was great to have an innovation coming from our own shores. I'm sure it will attract international attention if it hasn't done so already. I hope you will come back in time to update us on your techniques and insights and hopefully our WA mob can contribute some of our own observations and results. If I can learn this technique and come close to matching your results, then this seminar will have proven to be one of the best I have attended.